Our house is like a 24/7 WWE tag team bout. My wife works remotely and so do I, and we have two- year- old twin boys who never slow down, plus very little outside help, so it’s tag in and tag out all day long. I told my wife we need to wear headbands and costumes and come up with a team name, but she said I should have stopped at the metaphor. I’m buying a headband. As you all know, everything changes when you become a parent. Everything. One thing that I knew for sure once I became a father was that I wanted to do work that made a real difference once I stepped back into the work world again. I had been a stay- at- home dad for nearly a year, but that is for another blog post. 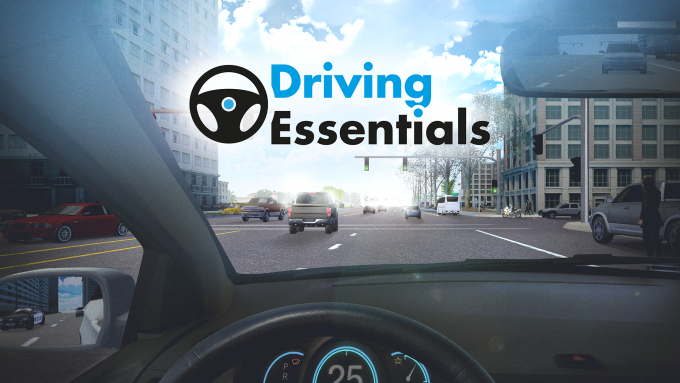 So when I interviewed with Bob Davis at Virtual Driver Interactive (VDI) about a job doing marketing and business development for their new product, Driving Essentials XE, I knew I was in the right place. Bob started VDI in 2004 after nearly hitting an obstacle in the road. He realized in that moment that video game technology could be used for something far more important than entertainment –- it could teach teens the critical skills and judgment needed to stay safe on the road. Right away, Bob began developing the technology to teach thousands of people how to drive in dangerous situations without actually being in danger, and he has been offering that technology to others for more than a decade now. Our new product, Driving Essentials XE, is an interactive and engaging driver training simulation made specifically for Xbox that teaches new, teenage drivers how to deal with hazardous conditions without actually being in danger. The vast majority of all serious teen crashes are due to critical (and preventable) mistakes: – lack of judgment, lack of experience, and distracted driving. Driving Essentials XE tackles these issues (over a 10- lesson course) to change behavior and rapidly foster better judgment. First responders, pilots, and surgeons use simulators to improve their skills- now teenagers can, too. The facts are sobering. Sixteen- year- olds are three times more likely to be in traffic accidents than other groups, and every single day six teens ages 16 to 19 die from motor vehicle injuries. Driving Essentials XE is available in the Microsoft Store. Go download it now and share it with your communities. It will save lives. Now if you will excuse me, I’ve got to get back to my twins. It appears as though they have started on an unauthorized home redecoration project while I have been writing this post. Click here to visit Driving Essentials website. Click here to visit the Microsoft Store. Click here to Like Driving Essentials on Facebook. Click here to Follow Driving Essentials on Twitter. WIN: 24/7 Moms and Driving Essentials XE are giving away one Driving Essentials XE download for your Xbox (must be Xbox One S or Xbox One X). US entries only and one entry per person. Winner will be chosen on April 13, 2019. Disclaimer: I have teamed up with Driving Essentials XE in support of this campaign. We received compensation for participation in this campaign. However, all thoughts and opinions are my own.